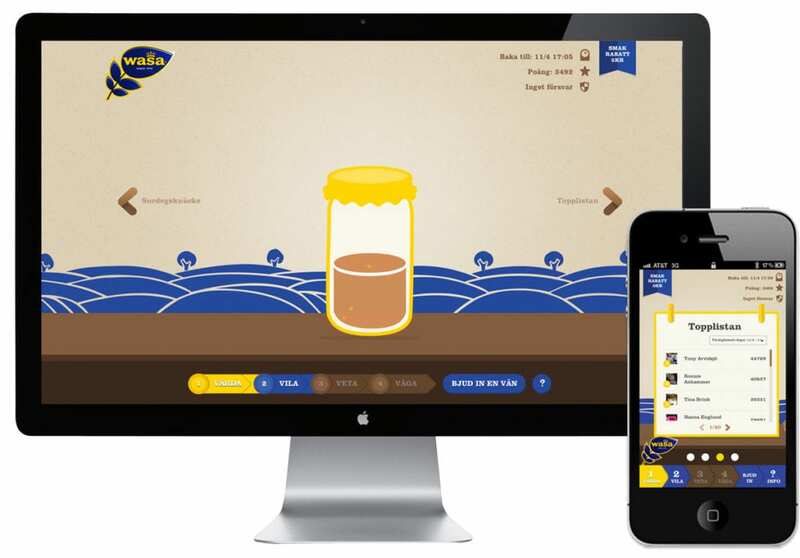 The world’s greatest crisp bread producer Wasa wanted us to digitally activate the launch of their new sourdough product. We decided to make it hard for ourselves and create a game that we hope will entertain their strong social media following. Social gaming is fun, but creating a game is something we treat with the utmost respect since we recognize the challenges in actually making it work. Following months of testing game mechanics, responsive design and testing our moms and focus groups we have now launched the Facebook application – Pass the Dough. The game reflects the perils and patience in creating good a sourdough. With this virtual tamagotchi users can care, rest, use their knowledge and even steal other facebook users dough – on any device of their choosing. The game has to be played for a full week and the winner will be rewarded with a summer week in the Swedish archipelago and the strong pride of probably being the world’s best digital sourdough baker. You can play it yourself here.